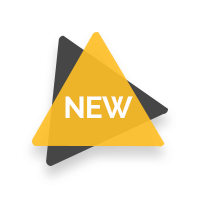 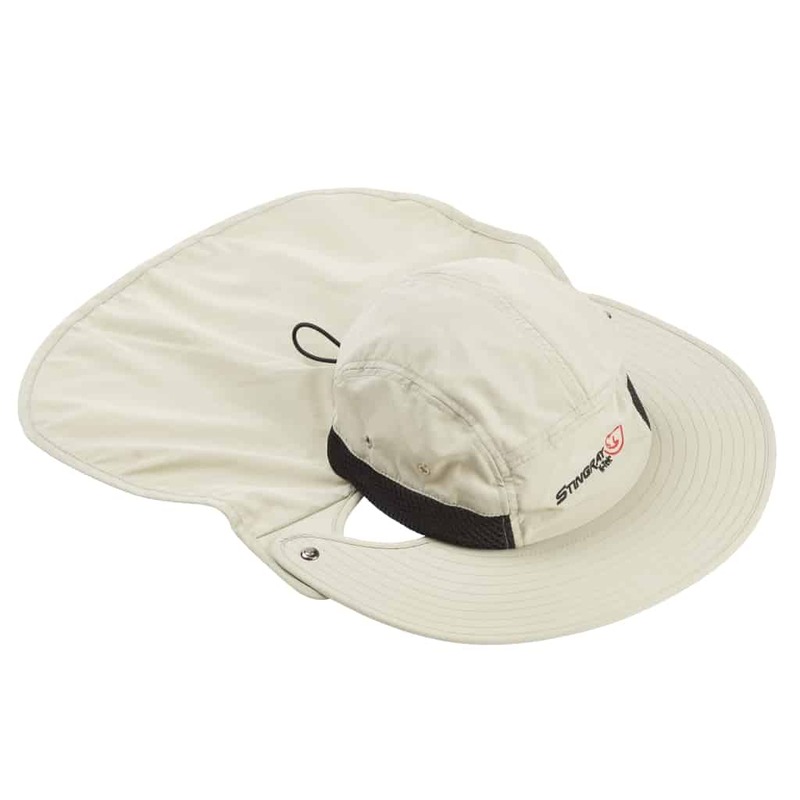 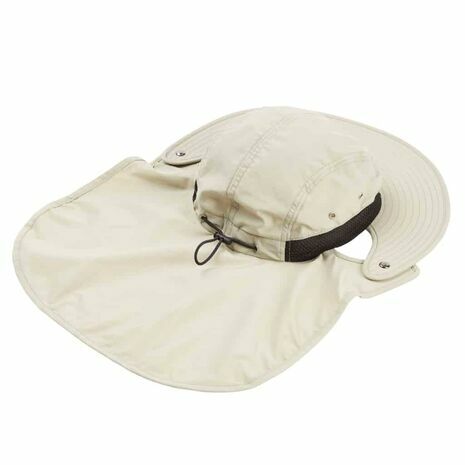 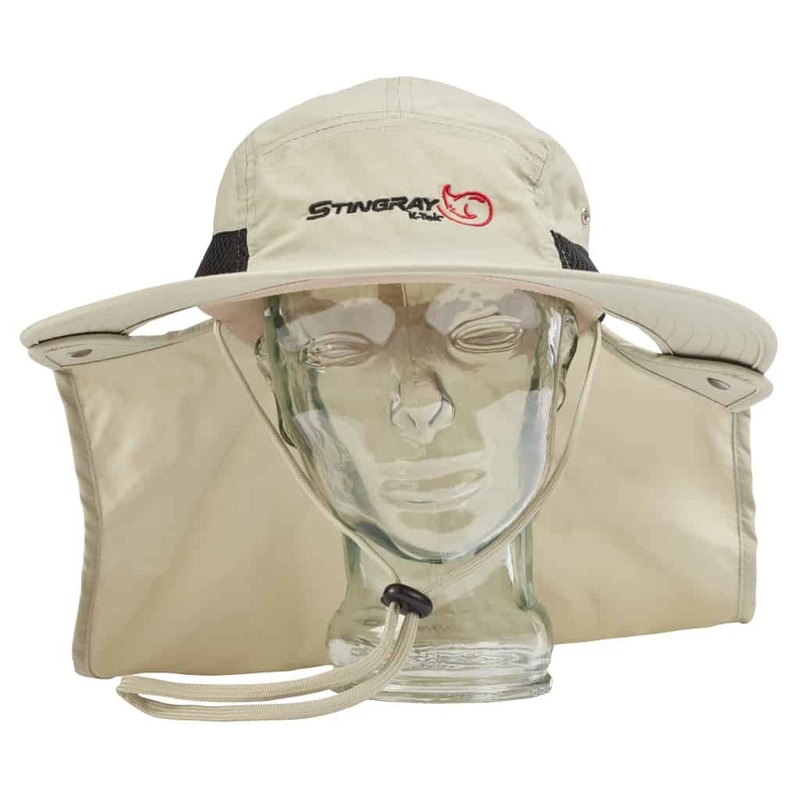 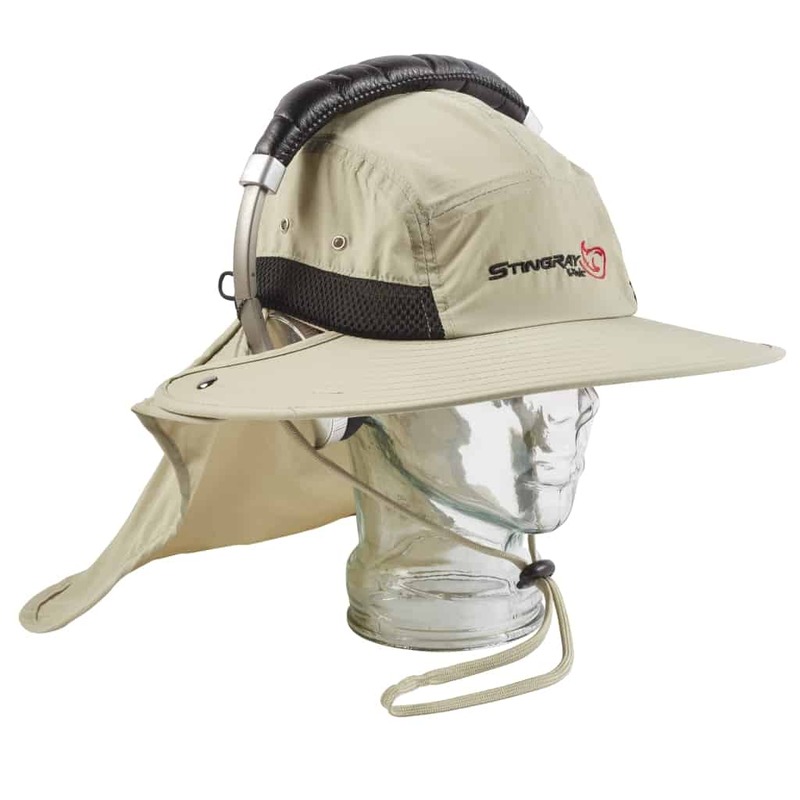 The Stingray Sunhat is constructed of a special sand-colored, lightweight fabric that is categorized as UPF50, which is rated as “excellent” by the American Society for Testing and Materials (ASTM). This material blocks 98% of the sun’s UVA and UVB rays. 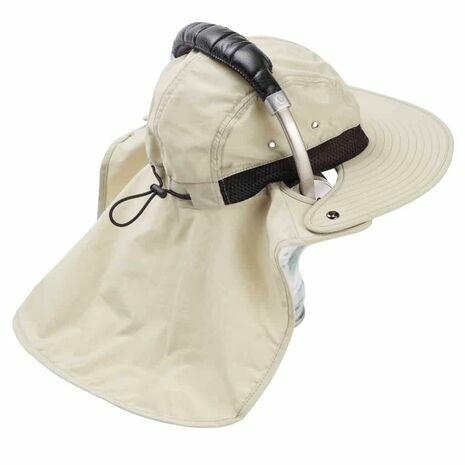 The half brim offers shade in the front and a built-in neck cover offers more protection. 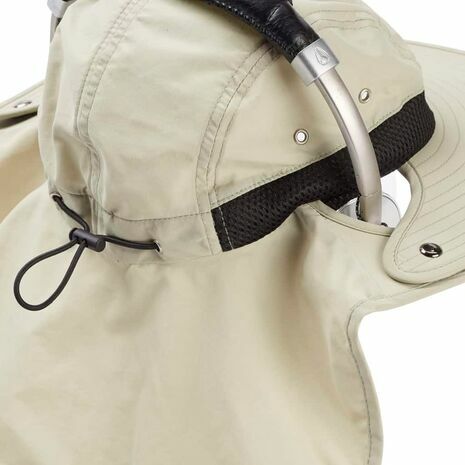 Various cooling vents maximize comfort. 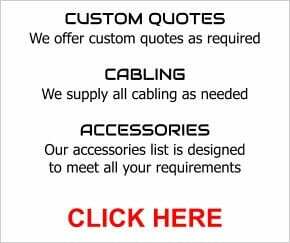 The one-size-fits-all design incorporates an adjustable elastic sizing band. The integrated chin strap ensures the hat stays in place, even during a windy day on location.